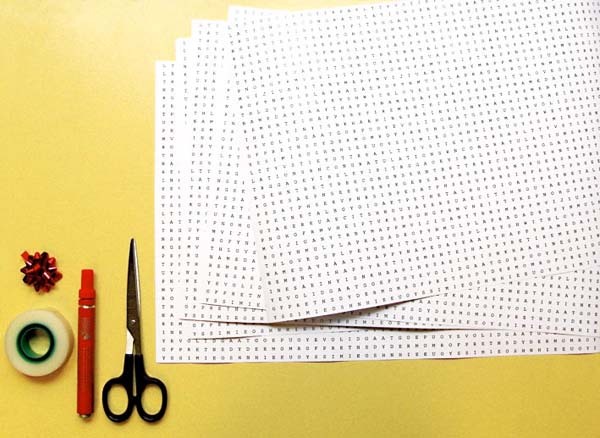 I’ve made no secret of my love for all things paper here at Babyology. Gift wrap rates extremely high in my paper world and this word puzzle wrapping paper is completely awesome! 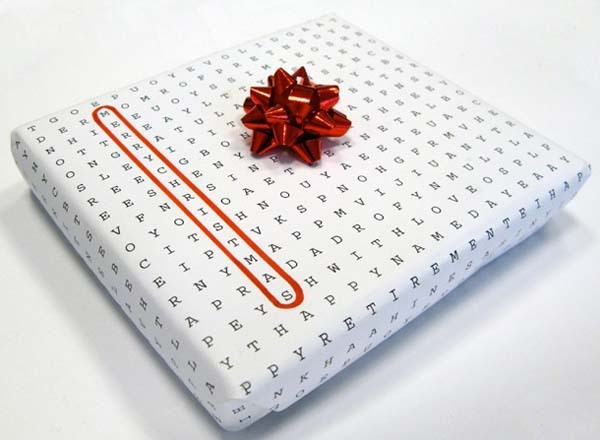 Gift wrapping that’s unique always catches my eye, so I absolutely must have this Word Puzzle Universal wrapping paper. 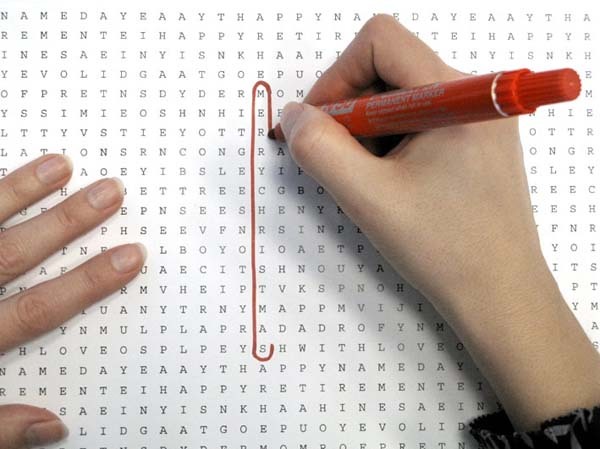 How clever to have this paper on hand for any gift giving occasion – even at a moment’s notice, all you need do is wrap your chosen gift, locate your occasion in the jumble of letters and circle it. Genius! Each sheet has everything from a traditional Merry Christmas to It is not a perfume and all else in between.